We are teachers, leaders, and skilled practitioners of orthopaedic manual therapy. Since 1993, the Institute of Orthopaedic Manual Therapy (IOMT) has been teaching seasoned and new physical therapists alike from across the state and the country how to enhance their skills in orthopaedic care. Our goal is to help you bridge the gap between what you learn in the classroom, read in the literature, and what you see and do every day in clinical care. We Bridge Science to Care! At the IOMT, we are dedicated to helping you deliver the best patient care possible utilizing a unique and specialized approach. The IOMT approach is rooted in the Kaltenborn/Evjenth Orthopaedic Manual Therapy (OMT) System. At its core are in-depth anatomical and bio-mechanical principals developed and fine tuned through years of clinical experience and evidence-based research. IOMT emphasizes the sequential process of differential diagnosis. This approach allows treatment to be focused, individualized, and tailored to ensure better outcomes and excellence in quality care. At the IOMT, we take pride in helping our students to develop the manual skills and therapeutic exercise techniques that you simply can’t learn from a book alone. Using the Nordic System of Orthopaedic Manual Therapy, we create movement specialists by emphasizing motor learning and dynamic control, in addition to training highly skilled manual therapists. Through our Level I and Level II year long Certificate Programs and our Weekend Seminar offerings, we integrate academics, classroom instruction, and supervised patient treatment to develop the tools you need to be knowledgable, experienced, and seasoned masters of your craft. Our manual therapy graduates routinely credit their IOMT experience for their improved confidence in clinical skills and a newfound professional satisfaction. I highly recommend the IOMT’s weekend workshops and year long certificate programs for anyone who wants to achieve clinical excellence in the practice of orthopaedic manual therapy. This year long program starts in January and ends in December. In our part-time Level I Certificate Program, we start from the beginning and build from the ground up. Through classroom lectures and labs, students enhance their existing knowledge with an academic foundation of manual therapy. We study clinical biomechanics, therapeutic exercise principles, and communication skills to facilitate patient management. We go in-depth into evaluation and treatment techniques for the spine and extremities, and specifically focus skills development on the areas of study outlined below. In this program, we seek to strengthen clinical assessment and problem solving skills while also invigorating each student’s practice by providing direct feedback during co-evaluation and co-treatment sessions. By performing a thorough subjective interview followed by a detailed and specific objective examination, we design the ideal individualized treatment plan for different patient care situations. Our Level I Long Term Orthopaedic Manual Therapy Certificate Program is designed to fit the schedule of the working physical therapist seeking extensive training in orthopaedic manual therapy. Scheduled on Tuesday and Thursday mornings at the ProEx Woburn Location with no weekend commitment, this year long training emphasizes manual skills, exercise concepts, and patient self-management techniques. Lab instruction and supervised patient care are provided under the direction of Martin Langaas, PT, OMT, FAAOMT. Completion of Level I earns students a Kaltenborn-Evjenth Certificate in Orthopaedic Manual Therapy. Our Level II Program is for graduates of the Level I Certificate Program who want to continue to advance their post professional studies with intensive hands-on training. This training includes preparing students for the high-velocity manipulation of joints. In Level II, we dive into lectures and labs, as well as supervised patient care, to master the evaluation and treatment of spinal and pelvic disorders. We combine and bridge all of our knowledge and manual training together to fully equip students in the management of all of the aspects of patient care. Because, in the end, we are here for the patients and we owe it to them to continually strive to be the best clinicians possible. Watch a video of an example of skills you will learn in Level II (this is not an instructional video, do not try this technique without proper training and supervision). In addition to our Certificate Programs, we also offer Weekend Seminars on varying topics in orthopaedics. In these seminars, we teach manual therapy skills, exercise concepts, and patient self-management techniques. Our Weekend Seminars are aimed to provide a snapshot view of orthopaedic manual therapy, facilitate thought processes, and reinvigorate licensed physical therapists’ skill sets. All Seminars will be held at host partner, Professional Physical Therapy Woburn, MA location. Current research has confirmed that a combination of manual therapy, therapeutic exercises and patient education is the cornerstone of physical therapy treatment for patients with spinal dysfunction. However, during daily clinical practice it can sometimes be difficult to decide on optimal clinical decision making. To enroll in one of our seminars, click on the Application Information button below. Concentrated academic study, lectures, and classroom practice sessions held at ProEx Woburn Location. IOMT faculty members provide students with a unique educational experience that will change their practice patterns forever. 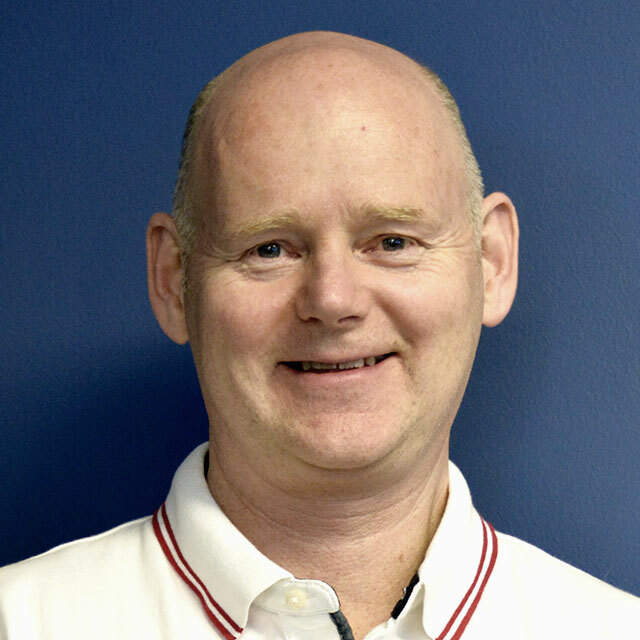 Martin is Co-Founder and Director of the Institute of Orthopaedic Manual Therapy (IOMT). He graduated in 1982 from the Physical Therapy College in Berlin, Germany, and after graduation, returned to Norway to attend the National Norwegian Fellowship Program. He trained extensively with Olaf Evjenth and Freddy Kaltenborn, the developers of the Kaltenborn/Evjenth Orthopaedic Manual Therapy System. Martin completed the Fellowship Program and obtained his OMT certification in 1989, moving shortly thereafter to the United States. With a passion for education and teaching, Martin founded and opened the IOMT in Woburn, Massachusetts. In conjunction with Orthopaedics Plus and Winchester Hospital, Martin has been leading and teaching at the IOMT since 1991. There have been many changes throughout the years, but bridging the gap between academics and clinical care has always been of utmost importance. In 2016, IOMT joined the Professional Physical Therapy organization where he also serves as their Co-Director of Clinical Education. Martin now operates IOMT out of the Professional Physical Therapy Woburn, MA location and utilizes the ProEx network for clinical sites for supervised patient care. Since 1991, Martin has also lectured and presented workshops throughout the United States. In 2007, The American Academy of Orthopaedic Manual Physical Therapists (AAOMPT) presented Martin a prestigious award in recognition of Outstanding Instruction in a Post-Professional Clinical Education Fellowship Program. Martin’s goal has always been to assist developing therapists in bridging and integrating academic knowledge with daily clinical practice. Martin also owns and operates a private practice, Langaas Spine Care, in York, ME. Eric serves as adjunct faculty for IOMT. He is a graduate of IOMT Level II, Class of 2001. In addition to IOMT, Eric is on the Faculty of the Boston University Orthopedic Manual Physical Therapy Fellowship. 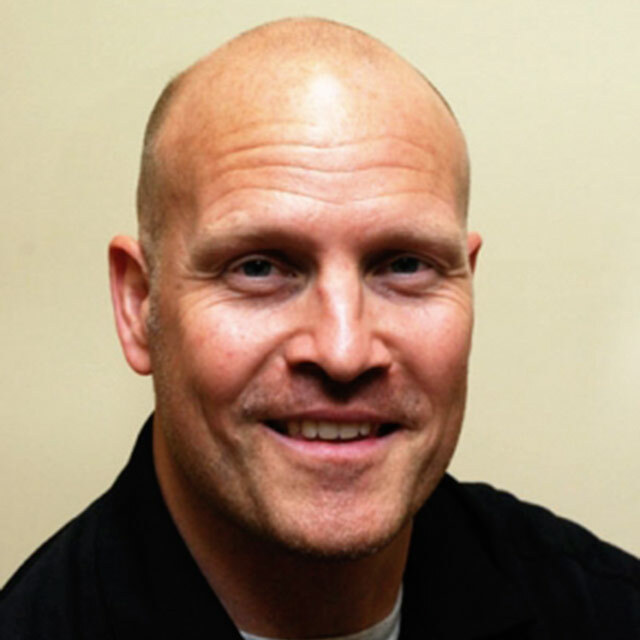 Eric also serves as the Co-Director of Clinical Education for ProEx Physical Therapy. Eric currently treats patients in the ProEx Farmington, CT location. Eric’s past teaching experience includes an adjunct faculty position at Quinnipiac University teaching in the Advanced Masters program and taught as a Primary Instructor in various continuing education courses in topics related to Orthopedic Manual Therapy. Rob is a member of the clinical mentor team at IOMT and supervises patient care out of the ProEx Middleton, MA office. Rob is a graduate of Level II at IOMT and is also a full fellow of the American Academy of Orthopaedic Manual Physical Therapists (FAAOMPT). Rob received his Bachelor of Science in Psychology from Union College in 1991. He then earned his Master of Science in Physical Therapy from Simmons College in 2000 followed by his Doctorate in Physical Therapy (DPT) from MGH Institute of Health Professionals in 2005. Originally from Marblehead, MA, Rob currently resides in Hamilton, MA with his wife and two children. In his free time Rob enjoys mountain biking, hiking, water sports, skiing and working on projects around his house. Dave is a member of the clinical mentor team of IOMT and supervises care out of ProEx Woburn. Dave earned his Bachelors of Health Science Degree in 2011, and his Doctorate of Physical Therapy in 2013 from Boston University. Dave completed Level I and Level II of IOMT in 2014 and 2015, respectively. Dave is a teaching assistant in the Doctorate of Physical Therapy Program at Boston University in the Spine course. Dave grew up and currently resides in Waltham, MA. Nicole currently serves as a clinical mentor and lab assistant for IOMT. Nicole is a graduate of Level II IOMT, class of 2009. She graduated from Northeastern University with a Master’s Degree in Physical Therapy in 2006. She is also in charge of new clinician clinical orientation at ProEx Physical Therapy where she educates new hires on the clinical philosophy of the company. In addition to her clinical training role, she is the Center Coordinator of Clinical Education (CCCE) for ProEx where she supervises and organizes all collegiate student internships. Nicole currently treats patients in the ProEx Haverhill, MA location. I cannot speak highly enough of the IOMT program. Having gone through Levels 1 and 2, my confidence in patient evaluation and treatment have increased significantly and I have seen a real improvement in pt. outcomes. This program is the best thing I’ve ever done in terms of further education. It is centered around a systematic, logical evaluation and treatment process with ample practice time and guided patient treatment. I started the program after 9 years of treating patients and wish I had done so sooner. As an orthopedic spine surgeon and the medical director of the Northern New England Spine center, physical therapy is a very important part of my treatment algorithm. I have familiarity and experience with many physical therapists and their treatment approaches and outcomes. The skills of IOMT trained therapists in clinical assessment and manual therapy and the emphasis on and ability to safely and effectively proceed with therapeutic exercise is unparalleled. Their consistent excellent outcomes make my job easier. Due to my experience over the last 14 years, I refer specifically to IOMT therapists whenever possible. Participating in the Institute of Orthopedic Manual Therapy has been a career changing opportunity for me. I learned to develop my skills in a way I never imagined would be possible. This program has enabled me to become the physical therapist that I want to be and to meet the career goals that I have set forth for myself. I know in the future it will continue to be an asset to me and to my aspirations. I am thankful to have been a part of this program and I would recommend it without hesitation to anyone wishing to grow and develop his or her manual skills. I can honestly say that IOMT level I and II were career changing for me. The overall structure, with weekly classes and clinical focus, is unmatched. I was able to develop my manual skills with continuous feedback from the instructors themselves, both in the classroom and during patient care. Meeting weekly allowed me to digest the information, put it into practice, and discuss concepts and techniques with classmates and instructors. This program bridged the gap between academia and patient care. The treatment approach taught at IOMT is systematic, logical, and effective. Above all Martin has hands on skills, charisma, and love for the profession that are unparalleled. He has an even greater ability to pass on these techniques to his students. I would highly recommend this program to all therapists who are looking to excel in orthopaedic physical therapy. The residency and fellowship programs at the IOMT have served as the biggest influence in my career as a Physical Therapist. No academic, continuing education, or clinical experience has even come close to instilling the skills and knowledge I need to help my patients on a daily basis like my experience with IOMT. The treatment philosophy is backed up by sound reasoning, research, and clinical experience. And the faculty is amazing in their abilities to teach the complex subject matter in a clear manner. They take great pride in assuring you truly grasp the material. Skills and decision-making are practiced not only on fellow residents, but also on patients to assure carry over in your day-to-day patient experiences. The constant feedback and opportunity to practice under the tutelage of the expert faculty is the most valuable component of this unique learning experience. The confidence in my clinical skills and reasoning gained from my experience with the IOMT has been invaluable. I believe any Physical Therapist who is serious about providing the highest level of orthopedic patient care should pursue training at the IOMT without hesitation. I attended Level 1 at the IOMPT in 2011. The education and experience I gained in this program was something that I would recommend to anyone, at any level of expertise in the physical therapy field. My clinical practice is performed with greater purpose and organization now. The institute provided me with the knowledge to be a valued clinical resource for fellow staff at the private practice I currently work at. The instructors hold valuable skills on dealing with even the most complex patients, and their individualized support allows you to tackle your own weaknesses. I will never be the same physical therapist I used to be since going through this experience and I’m so much more confident in my current assessment/treatment. For 2 full years I had the privilege to be taught and mentored by Martin Langaas PT, OMT, FAAOMPT The Institute of Orthopaedic Manual Therapy. Martin helped me grow as a clinician and improve patient outcomes by helping me to understand and clinically implement three distinct variables of Orthopedic evaluation and treatment….The way Martin teaches us how to ask our patients the right questions to guide and narrow our objective exam is beyond anything that graduate school, a weekend course, or a research article could ever teach us….Martin brings the emphasis back to how to use your hands the right way. How to mold your hands, how and where you should stand, how high or low the table should be, how and where to position the patient, what direction your manual force needs to be in order to test and treat a painful &/or a dysfunctional joint the right way….In order to improve long term patient outcomes, Martin teaches us how to educate our patients and use analogies to guide the patients understanding of the issues at hand….If you are a clinician and you have the opportunity to enroll in this program to learn from martin, do it. Learning from Martin will save you time and money in the long run. Click here to see the full testimonial from Ramez Antoūn. Professional Physical Therapy is a physical therapy practice and partner of IOMT with multiple locations throughout New England. Founded in 2001, ProEx has been committed to clinical excellence by providing its therapists with the education and proper tools to deliver the most effective treatment utilizing manual therapy and graded exercise therapy. The foundation of the ProEx clinical philosophy is the Kaltenborn Evjenth System of Orthopaedic Manual Therapy (OMT), and the majority of therapists at Professional Physical Therapy have been Residency trained in manual therapy. The geographical locations of the various clinical sites coupled with the access to proper equipment and resources conducive to learning the OMT system are added benefits of the IOMT experience. In 2017, ProEx partnered with Professional Physical Therapy and now collectively have 175+ clinics in New England and the Tri-State area. Entry into the Level I Year Long Manual Therapy Program is open to graduates of an accredited physical therapy college. All applicants must be licensed to practice in the state of Massachusetts. Candidates must register online and will receive notice that their application has been received. Interviews will be scheduled within a short period from the application being submitted, candidates will then be selected and notified thereafter. Open enrollment. Candidates for the Level II Year Long Manual Therapy Program must have completed the IOMT’s Level I Certificate Program. Candidates will be selected and notified within four weeks of receiving their application. Class size is limited to six students. Tuition for each program is $4,800. Payment may be paid in two installments. To apply to the Level I Certificate Program, use our online registration and payment form. *Deposits will be refunded if the candidate is not accepted into the program. Please upload your resume here. Allowed files: .doc, .docx, .pdf. 2MB maximum upload size. Use this form to send us an email or call (781) 229-9353.